Long life LED’s and high efficiency drivers work together to provide superior performance in an efficient package to deliver optimal performance. 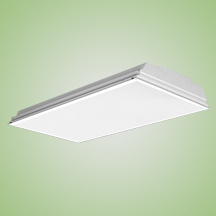 LED’s available in 4000K and 5000K with a CRI >82. Electronic drivers are available in 120/277 volt applications. 0-10V dimming standard. ETL listed. UL Class 2. LM79 and LM80 tested.